Sigeumchi-namul is a Korean side dish (banchan) made of blanched spinach seasoned with soy sauce, garlic, and sesame oil. The spinach is only slightly cooked, leaving it a little crispy, but still soft and tasty. 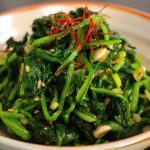 Because it’s so easy to make and so delicious, it’s a very popular and common side dish among Koreans. For many Koreans an easy, simple everyday meal consists of rice, kimchi, a stew (often doenjang-jjigae), kongnamul-muchim (a bean sprout side dish), and sigeumchi-namul. It’s on our everyday table and also served at special occasions, family gatherings, BBQ parties—basically anywhere Koreans are gathering with food, sigeumchi-namul is there and among the most popular dishes, often paired with kongnamul-muchim, another favorite. 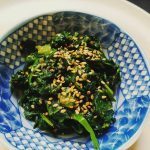 In this recipe you can replace spinach with bok choy or arugula or experiment with something new if you want. I had a potluck party with my readers a few years ago, and one of them brought his own sigeumchi-namul made with an ingredient I couldn’t recognize. I asked him and he told me it was tender kale! Blanched and prepared like sigeumchi-namul, it was so delicious! I hope you enjoy this recipe and the remade HD video. Let me know if you make it. If you try your own experiments, let me know in the comments! Boil 8 to 10 cups of water in a large pot. Blanch the spinach for 30 seconds to 1 minute with lid off, stirring with a wooden spoon. 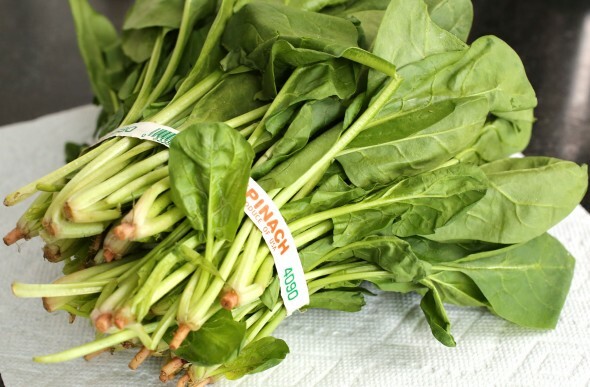 Strain the spinach and rinse in cold water a couple of times to remove any residual dirt. Squeeze out excess water and cut a few times into bite size pieces. 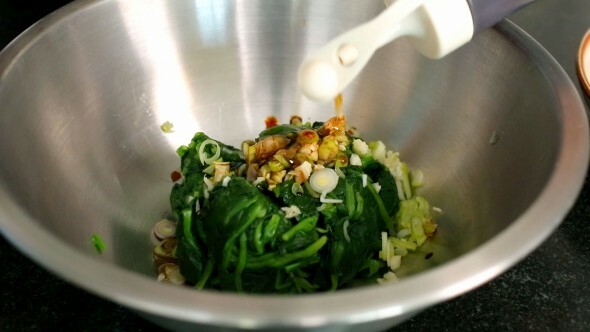 Mix the spinach with garlic, green onion, soy sauce, sesame oil, and sesame seeds in a mixing bowl by hand. Transfer to a bowl or plate and garnish with silgochu, if used. Posted on Sunday, September 30th, 2007 at 4:25 pm. Last updated on March 28, 2016. Posted March 30th, 2019 at 12:52 pm | Log in to reply. Bibimbap, Japchae, Easy Kimchi, Dakgangjeong etc. Would like to ask those side dish like Oi-muchim, Sigeumchi-namul, Buchu-kimchi etc can keep in fridge for how long? Greatly Appreciated for your prompt reply. Posted January 11th, 2019 at 1:27 pm | Log in to reply. I loved it,Maangchi, you would be proud of me!! Posted January 13th, 2019 at 11:05 am | Log in to reply. Posted September 25th, 2018 at 6:30 pm | Log in to reply. Posted October 3rd, 2018 at 8:40 am | Log in to reply. It looks delicious! I see you added a generous amount of sesame oil. I can almost smell it! It looks wonderful. Posted July 19th, 2018 at 5:14 pm | Log in to reply. Hello Maangchi! I love your recipes. I’m making this banchan now. I have a quick question… how long will this stay in the fridge before it goes bad? Posted July 17th, 2018 at 7:17 am | Log in to reply. Posted July 19th, 2018 at 8:40 am | Log in to reply. Posted April 3rd, 2018 at 8:29 pm | Log in to reply. I normally Blanche for 30 seconds. It keeps it from being mushy. This is a perfect side dish! Posted October 18th, 2017 at 3:20 pm | Log in to reply. Posted October 21st, 2017 at 3:47 pm | Log in to reply. I’ve made it with baby spinach and with regular spinach. You can do both but the adult spinach is better, in my opinion. 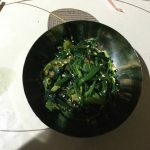 The baby spinach is soft and you just end up with slimy wads in each bite, whereas the adult is firmer and has the stems, which create a very nice texture for this recipe. 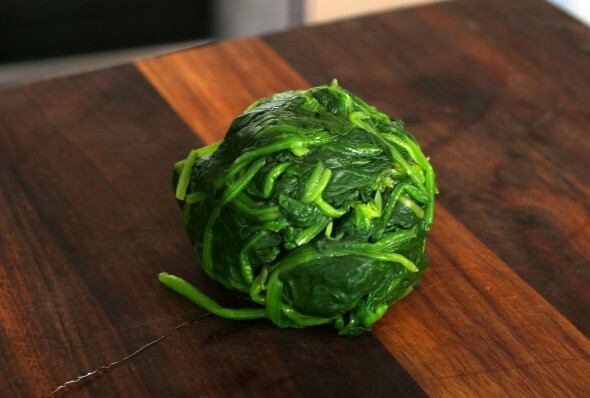 But if you only have baby spinach on hand, I wouldn’t let that deter you from making this, especially if you are planning on adding it to kimbap or something like that. Posted November 2nd, 2017 at 10:18 pm | Log in to reply. Hi tomdolan, thank you for your advice. I had a huge 5 pound that I recently bought so I was hoping to use what I had so it would not go to waste. I will try to make it with the adult spinach next time and compare the difference. Thank you so much! Posted June 8th, 2017 at 7:04 pm | Log in to reply. I tried this with beet greens, and they were really good. Next, I might try using sweet potato leaves, since my sweet potato plants are not giving me tubers. Posted August 10th, 2017 at 12:23 am | Log in to reply. OK, I cut sweet potato leaves in the morning, and processed them like spinach. Sweet potatoes are related to morning glory plants, and the vines have a fair amount of latex in them, but the leaves don’t have as much. 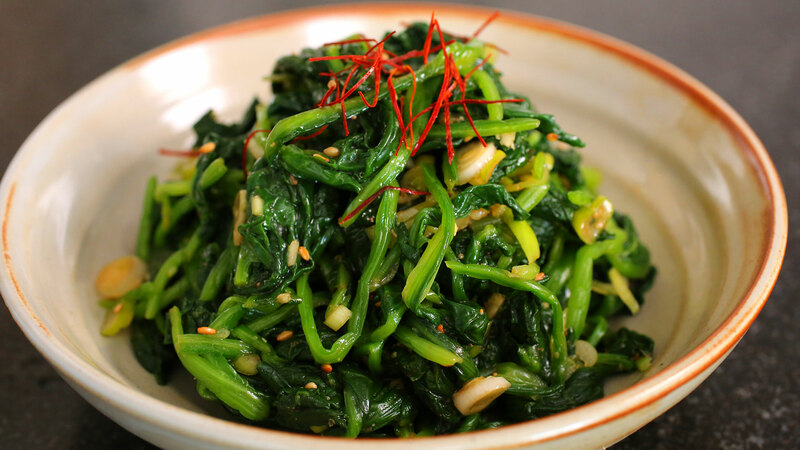 The resulting dish looks similar to the sigeumchi-namul with spinach, but the texture is a bit . . . mushy. There is a kind of slimy component to the leaves. I cannot recommend it. Posted January 13th, 2019 at 3:19 pm | Log in to reply. Wow, thank you for that useful info, that’s definitely one of the vegetables I would have tried as I cannot always find “adult” spinach in my local shops (and my family grows sweet potatoes every summer). I will try with beet greens instead! And perhaps with chard! This recipe was originally posted on September 30, 2007 at 4:25 pm by Maangchi. It was last updated on March 28, 2016. The video was watched 2,008,028 times on YouTube & has 31,297 likes! This video is a remade version of an earlier recipe. The original video was posted on 2007-09-30 and has 508,329 views.